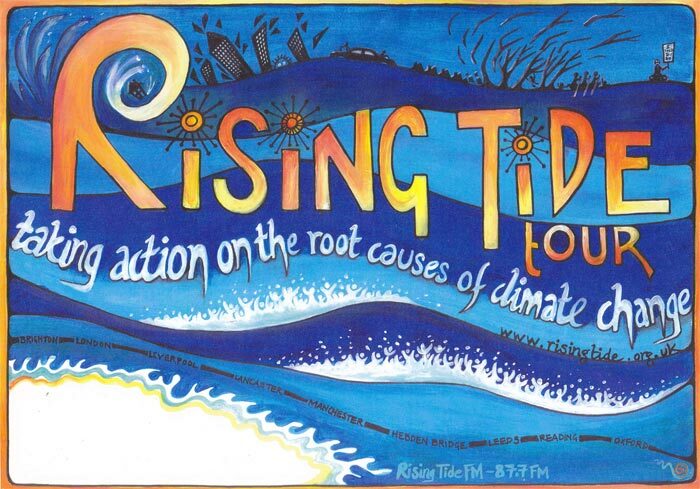 This was a poster for London Rising Tide, a group highlighting and taking action against the causes of climate change. It was for an awareness raising national tour in 2002 and reproduced in A3. It was originally painted in acryllic paint with a gap left for local info.